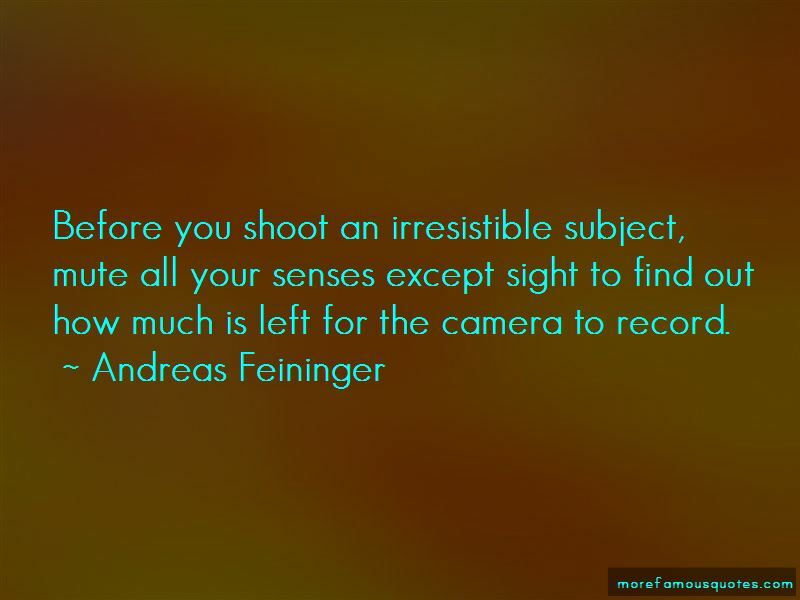 Enjoy the top 25 famous quotes, sayings and quotations by Andreas Feininger. As an amateur you have an advantage over photographers - you can do as you wish ... This should make amateurs the happiest of photographers. The difference in 'seeing' between the eye and the lens should make it obvious that a photographer who merely points his camera at an appealing subject and expects to get an appealing picture in return, may be headed for a disappointment. No one can do inspired work without genuine interest in his subject and understanding of its characteristics. The camera can push the new medium to its limits - and beyond. 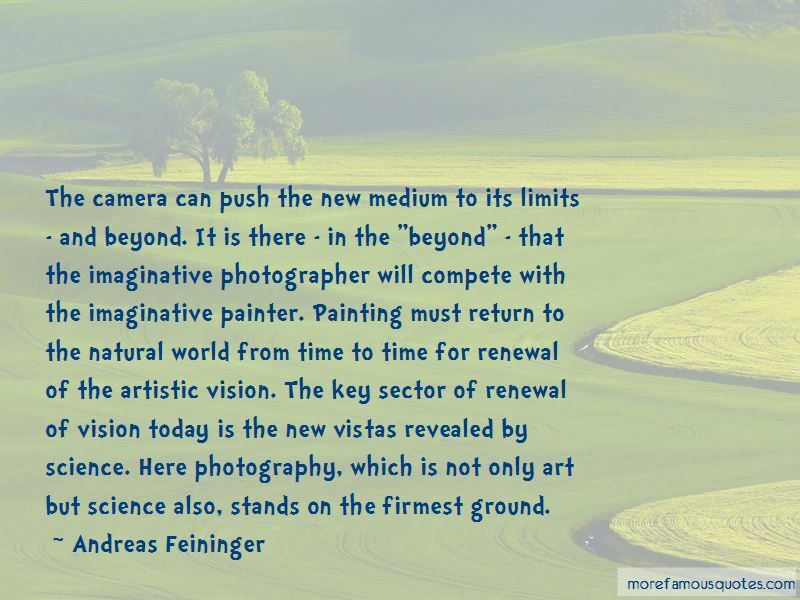 It is there - in the "beyond" - that the imaginative photographer will compete with the imaginative painter. Painting must return to the natural world from time to time for renewal of the artistic vision. The key sector of renewal of vision today is the new vistas revealed by science. Here photography, which is not only art but science also, stands on the firmest ground. With a short lens I can reveal the hidden things near at hand, with a long lens the hidden things far away. The telephoto lens provides a new visual sensation for people: it widens their horizons. And, conversely, the things under our nose invariably look good when blown up really big. The photographer has almost as much control over his subject matter as a painter. He can control light and shade, form and space, pattern and texture, motion and mood, everything except composition. Every successful photograph, except for lucky shots, begins with an idea and a plan. The more precisely a photographer knows what it is he wishes to do, the better the chances are that he will do it. Photographers - idiots, of which there are so many - say, "Oh, if only I had a Nikon or a Leica, I could make great photographs." That's the dumbest thing I ever heard in my life. It's nothing but a matter of seeing, and thinking, and interest. Don't look for "depth" but instead search for subject aspects which prove the presence of depth. Before you shoot an irresistible subject, mute all your senses except sight to find out how much is left for the camera to record. 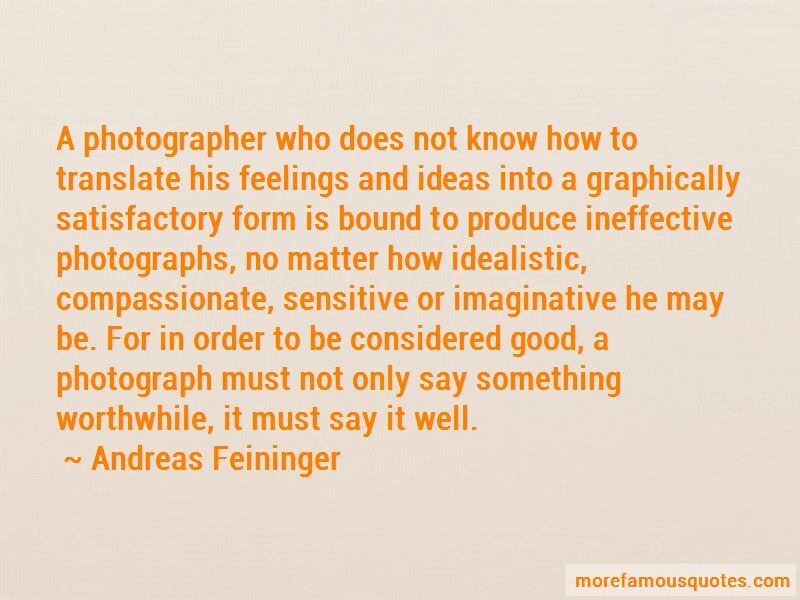 Want to see more pictures of Andreas Feininger quotes? 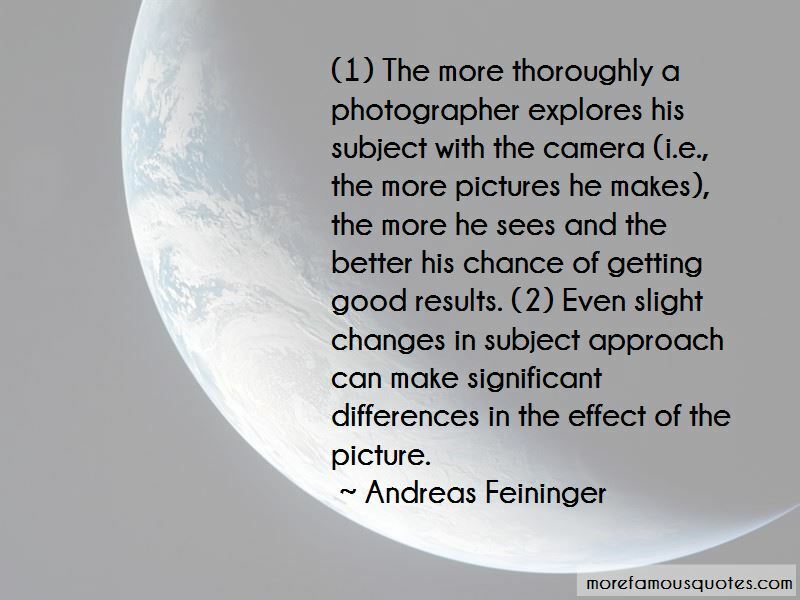 Click on image of Andreas Feininger quotes to view full size.